Sanjay Manjrekar has lambasted Vijay Shankar and Rishabh Pant while questioning India’s middle order right before the World Cup. He raised his concerns as Shankar and Pant lost another opportunity to take India home in the series decider against Australia by giving away their wickets cheaply. All-rounder Vijay Shankar had yet another bad day with the bat as he could score only 16 runs before handing an easy catch to Usman Khawaja at the long on, and add to Adam Zampa’s tally of wickets. Young wicket-keeper Rishabh Pant was no different as he also got out cheaply by edging Nathan Lyon, to find himself being caught by Ashton Turner. While chasing 273, opener Shikhar Dhawan and star batsman Virat Kohli had previously been dismissed early, which had provided Shankar and Pant the opportunity to cement their places in the side. While Shankar was given a chance to prove his credentials over the expense of Ambati Rayudu and KL Rahul, Dhoni’s absence was the right time for Pant to announce his arrival. Manjrekar didn’t seem very amused with Shankar’s temperament and laid out his displeasure on Twitter. The former cricketer also warned India about their World Cup chances with respect to their glaring weakness in the middle order. “Whoever gets picked in the end, India’s middle order will be its Achilles heel in the WC 2019”, he wrote. The Australia series right before the IPL was India’s last dress rehearsal on the road to the World Cup, which is to be played between May 30 and July 14 in England and Wales. 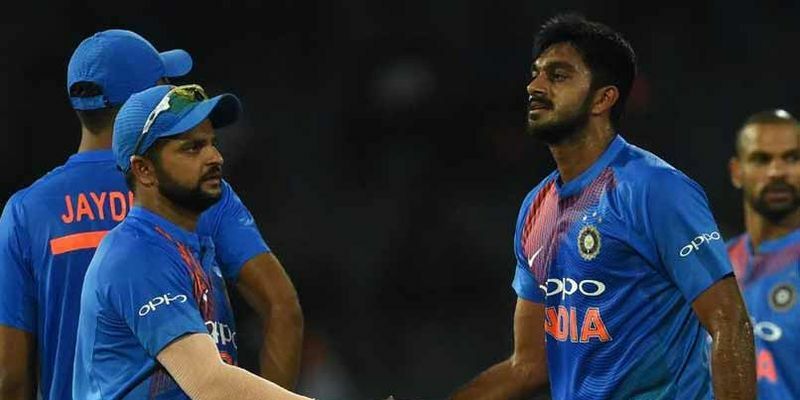 India would be hoping to fix all their issues during the two warm-up matches against New Zealand and Bangladesh in the Oval and Cardiff, respectively.